Kind of a cool car I've been following on FB. Some clear coat failure but otherwise looks good. Awesome car and color, If I didn't have a couple projects loading me down, I'd have this in my garage. Did that guy from here not buy it? It looked as if he was close to making a deal on it. At first I thought I looked at its clone years ago... But that car did not have AC, no Cruise, no rear defog, no hatch release, The only option it had was a radio and power antenna... The car I looked at was Not nearly as nice as this car. Are all "Formula"s 305s and all "Formula 350"s 350? 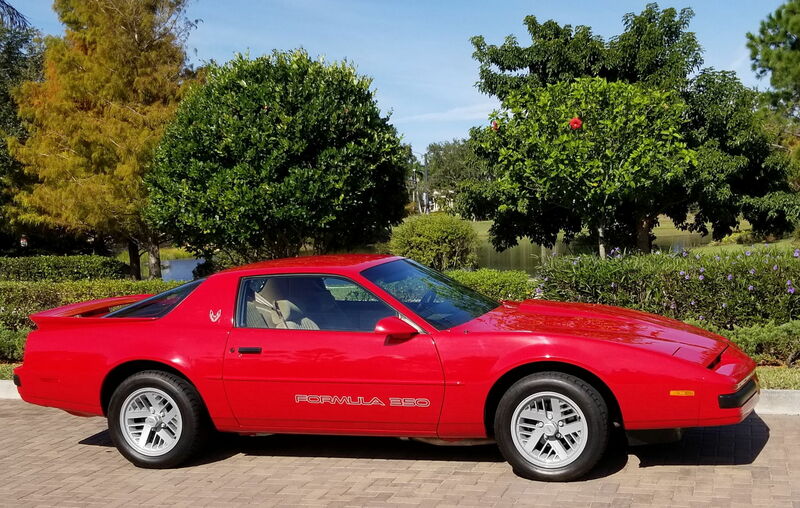 1988 Formula 350 vs 1987 Trans Am GTA 305 5spd.